The Flat Roof Company had helped our St. Louis customers thousands of dollars by helping them invest in a flat roof restoration for their commercial or industrial flat roof. 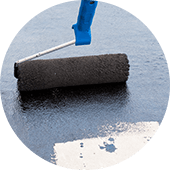 Our restoration program is cost-effective and efficient for many common signs of flat roof wear and tear. 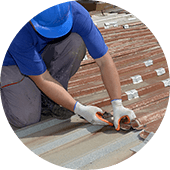 After you contact the Flat Roof Company, our professionals will come to your business to examine the flat roof. We will thoroughly go over our findings with you and make recommendations as necessary. 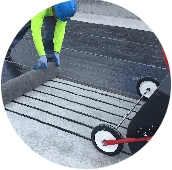 The Flat Roof Company stands behind our work 100% by offering a Leak Free Guarantee which includes both labor and materials. We utilize a 3-step roof restoration process with service before, during and after a project has been completed. Our professionals will prepare your roof by removing and cleaning all debris and dirt from it's surface for restoration. Roof coatings can reflect up to 90% of the heat given off by the sun. The reduction in roof surface temperature can translate into savings on air conditioning. Roofing systems that can deliver high solar reflectance (which is the ability to reflect the visible, infrared and ultraviolet wavelengths of the sun, reducing heat transfer to the building or home) and high thermal emittance (which is the ability to release large percentages of absorbed or non-reflected solar energy) are called cool roofs. Contact us today to schedule a Free Inspection from the Flat Roof experts by calling 314-995-2700. Our experienced roofing technicians are ready to complete your flat roof restoration in St. Louis!